Ensembles hailing from Poland and the Netherlands bring classical music to Bates College in February. 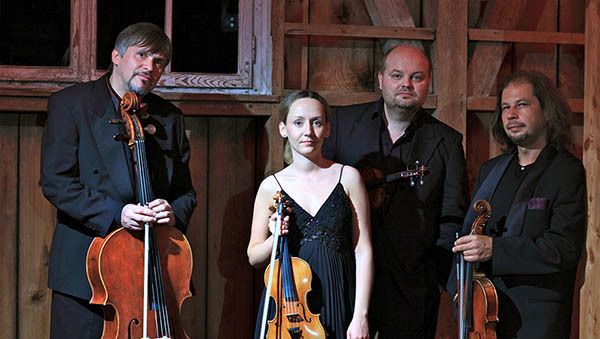 One of the most remarkable international string quartets to emerge from the 1990s, Poland’s Szymanowski Quartet performs pieces by Bacewicz, Haydn, Mozart and namesake Karol Szymanowski at 7:30 p.m. Tuesday, Feb. 10. This Feb. 10 concert has been canceled due to the snowstorm. Later in the month, the Dutch Baroque ensemble Musica ad Rhenum, known for deeply emotional and personal performances, reinvigorates 18th-century classics of Bach on 7:30 p.m. Friday, Feb. 27. Both concerts take place in the Olin Arts Center Concert Hall, 75 Russell St. Admission to each is $15, available at batestickets.com. A limited number of free tickets are available for students and seniors 65-plus at bit.ly/oacbates. For more information, please contact 207-786-6135 or olinarts@bates.edu. The quartet’s recordings include a CD of Haydn, Bacewicz and Dvořák and the classical/jazz crossover Pure Desmond. 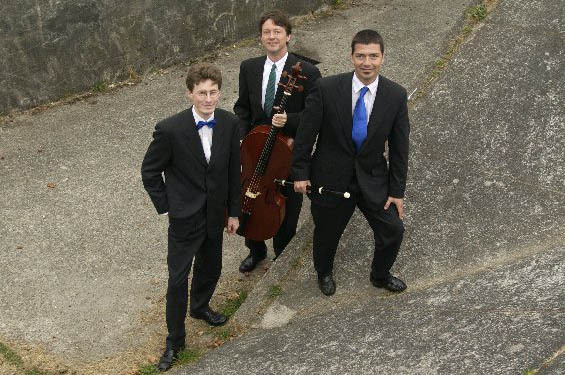 In 2009 the quartet launched a series of three CDs focusing on Karol Szymanowski. Recent recordings include music of Zelenski and Zarebski released on Hyperion in December 2012. Taking their name from the Latin for “music from the Rhine,” Musica ad Rhenum is influenced by the 18th-century music of the European cities that lined the Rhine River, such as Basel, Switzerland, and Cologne, Germany. Emerging from Amsterdam in 1992, the ensemble plays period chamber music on historically accurate instruments — traverso (a type of wooden flute popular during the Baroque era), harpsichord and cello. While the group honors the original intent of the composer, they also infuse the pieces they play with their own creativity, delivering high-energy performances that have proven that Baroque music can be fresh, expressive and relevant to today’s world. The world agrees; Musica ad Rhenum has played internationally, including shows in London, Madrid, New York, Berlin and Vienna. The ensemble has recorded more than 30 albums.